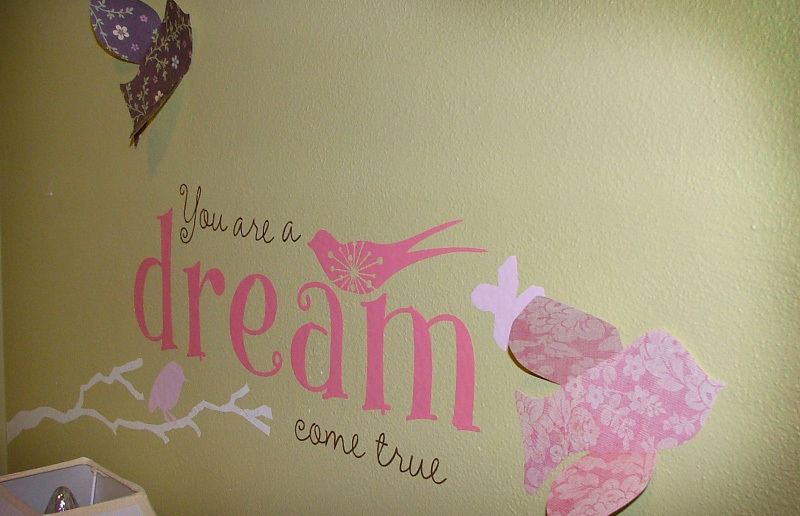 Awhile back I added some paper birds to my little girl's room. I have this odd obsession with all the wonderful graphic patterns of scrapbook paper (and material!) so I will probably be adding more at some point. 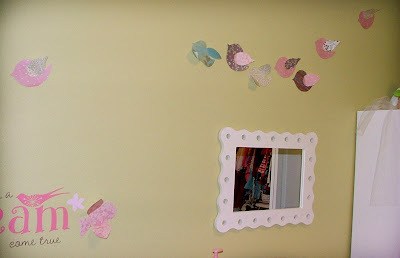 They are a fun way to add a little flare and dimension to a wall. I came across the idea from a seller on Etsy (now I can't find her anymore) and have since seen different variations. To create your own, simply cut out bird patterns from sheets of scrapbook paper and fold where you want the wings! 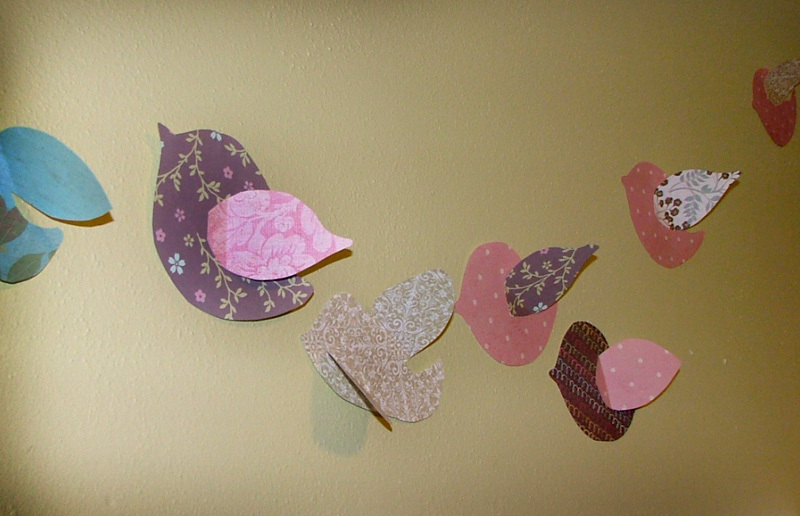 I somewhat matched my plump little bird shape from the pattern on her bedding. If you don't feel crafty or want a more modern twist, check out Chiasso's options here or here.